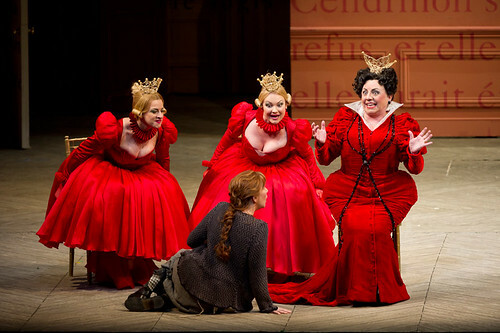 Cinema-going opera fans, you shall go to the ball as Massenet's fairytale Cinderella hits cinemas this month as part of the Royal Opera House Cinema Season. 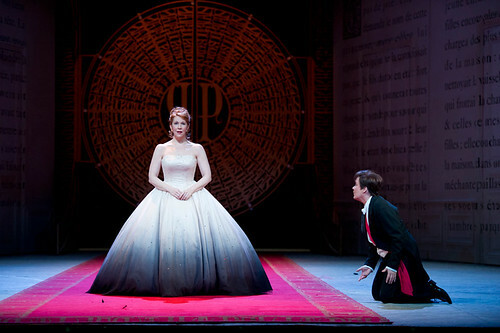 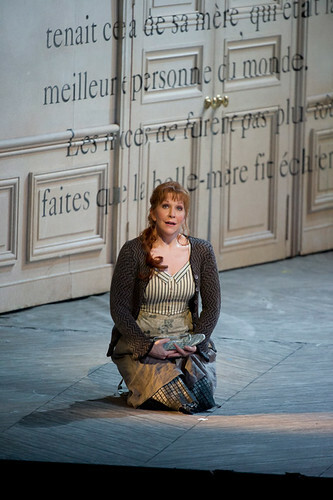 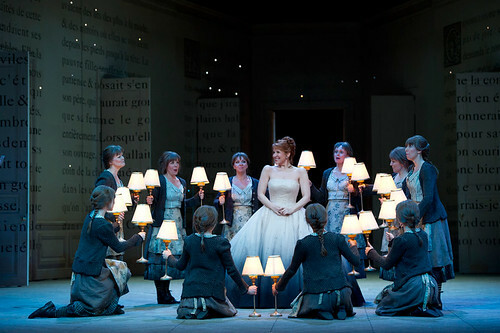 Starring Joyce DiDonato in the title role alongside Prince Charming Alice Coote, Laurent Pelly's production of Massenet's opera is both funny and touching, with a spectacular storybook set inspired by a large red volume of fairytales owned by the director's grandmother. 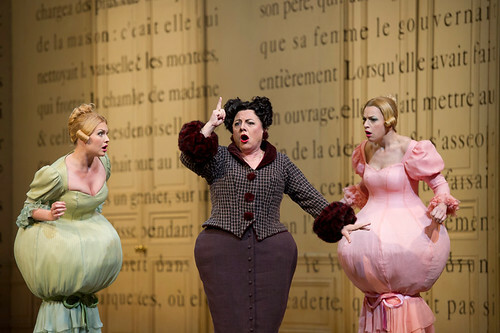 Eglise Gutierrez also stars as a sassy Fairy Godmother. 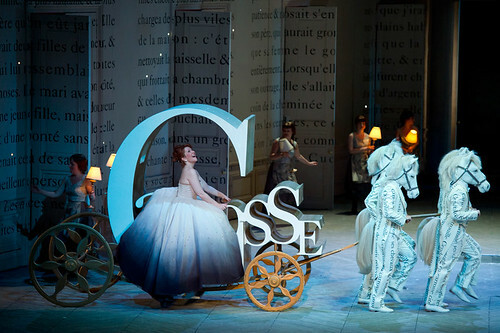 Sections to watch out for include the gorgeously scored roof-top meeting of the two lovers, the appearance of the strikingly designed carriage and the farcical parade of the would-be princesses. 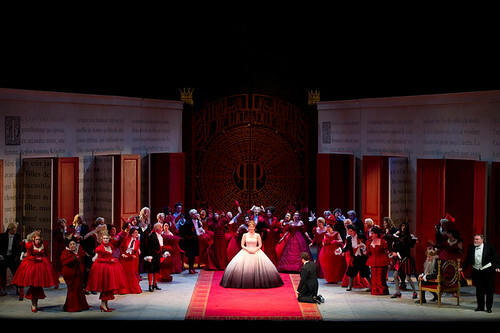 This co-production premiered at Santa Fe Opera in 2006 and the 2011 performance at the Royal Opera House marked the work's first appearance on the Covent Garden stage. 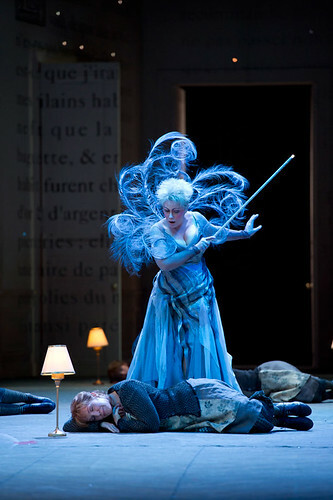 For a fascinating insight into the production process, take a look at Joyce DiDonato's behind the scenes rehearsal photography. 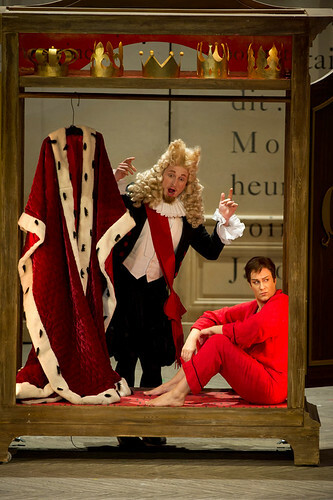 Interestingly, an opera which is unashamedly French was conceived in London, while the composer and librettist Henri Cain were staying at the Cavendish hotel around the premiere of Le Cid, giving a sense of ‘homecoming’ to the premiere of this production last year. 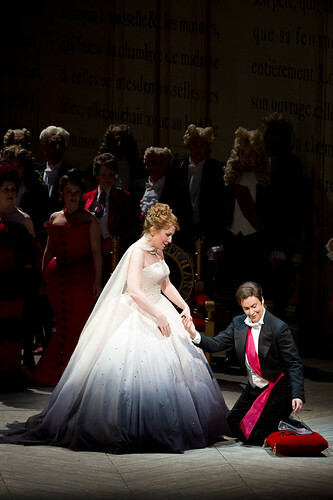 Cendrillon is a true Cinderella story, unlike Rossini's realistic and restrained La Cenerentola - with all of the elements from Charles Perrault's childhood favourite fairytale intact - the slipper, the dress, the comedic pomp and ceremony. Find out more about international screenings of Cinderella.